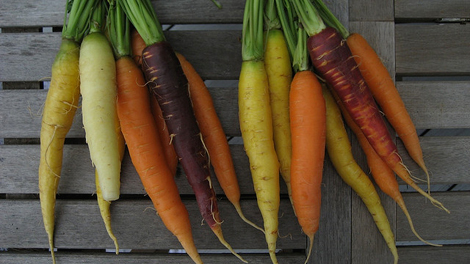 Growers are teaming up with chefs to make cool new hybrids that look and taste amazing. 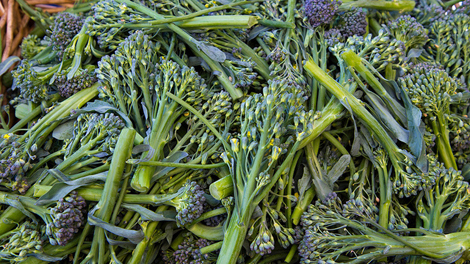 Farmers have long been cross-breeding fruits and vegetables, creating new hybrids like pluots (plum-apricot), tangelos (tangerine-pomelo) and broccolini (broccoli-gai lan). They generally aim to combine the best characteristics from the parent plants, perhaps improving on appearance, taste, pest resistance, durability, or yield. Since growers have their livelihoods to consider, it makes sense that they would approach this creative process from a business perspective. But there’s a small movement of breeders who are teaming up with chefs to create new produce that’s made with one thing in mind: the plate. While this seems like an obvious collaboration, Pacific Standard reports that “cooperation between plant breeders and chefs is historically rare.” Which is why Lane Selman, Portland Feast emcee and agricultural researcher at Oregon State University, created the Culinary Breeding Network to foster interactions between growers and cooks. Part of what the network does is bring chefs to tour seed farms, where they can provide feedback. And the results have been very fruitful. For instance, with input from chefs like Blue Hill’s Dan Barber, Cornell University breeder Michael Mazourek has invented a habanada (a tasty but heatless habanero pepper); a round, ridge-free (and therefore easy-to-peel) acorn squash; and a smaller, sweeter butternut called the honeynut squash. And a group of breeders at Oregon State University have produced a whole range of new tomato varieties; some are deep purple in color, some are tart and tangy, others creamy and mild. By combining their talents, chefs and plant breeders like those in CBN are starting to create a new class of produce that melds the durability of modern varieties with the fantastic flavor of heirlooms. These new hybrids are often developed on a small scale at universities, who license the seed rights to larger companies and farms for production and distribution. Fruition Seeds will shortly be selling the habanada in the Northeast, and other edible innovations are starting to find their way onto farm stands and supermarket shelves—which means we can look forward to having fun with them in our kitchens very soon.